Crime thriller “El Angel” is also produced by Sebastián Ortega’s Underground Prods., the company behind “El Marginal,” acquired by Netflix. Film Factory will handle worldwide sales rights to “El Angel,” presenting exclusive footage at Berlin’s European Film Market. 20th Century Fox releases “El Angel,” now in post-production, on Aug. 9 in Argentina. “El Angel” turns on a real-life criminal who shocked Argentine society: Carlos Robledo Puch, a merciless teen killer dubbed “The Angel of Death” because of his beatific good looks, who now ranks as the longest-serving prison inmate in Argentine history. “El Angel” features a large top-notch Latin American cast including Chino Darin (“Death in Buenos Aires”), Mercedes Morán (“Neruda”), Daniel Fanego (“Betibu”), Luis Gnecco (“Neruda”), Cecilia Roth and Peter Lanzani (“The Clan”). The film introduces Lorenzo Ferro as the titular Angel. Film centers on 17-year-old Carlitos, who embarks with a friend, Ramon, whom he dearly wants to impress, on a journey of violence and forbidden love. He commits 11 homicides; but “killing is just a random offshoot of the violence,” according to the film’s press materials. “The Angel’ is an outlaw story…. This fringe profession is the most dramatically fertile because it is in contact with the essence of human drama,” Ortega said. “El Angel” marks a step up in film-production scale for Ortega, whose recent TV work and films — directing episodes of “El Marginal” and movie “Lulu,” starring “BPM (Beats Per Minute)’s” Nahuel Pérez Biscayart — has displayed an acute empathy for manic or near-pathological outsiders. In “El Angel,” Ortega’s protagonist crosses the line. “From a piece of news that shocked a nation, Luis Ortega builds a story with universal appeal, packed with amazing performances and an irresistibly cool ‘70s vibe,” added Vicente Canales. 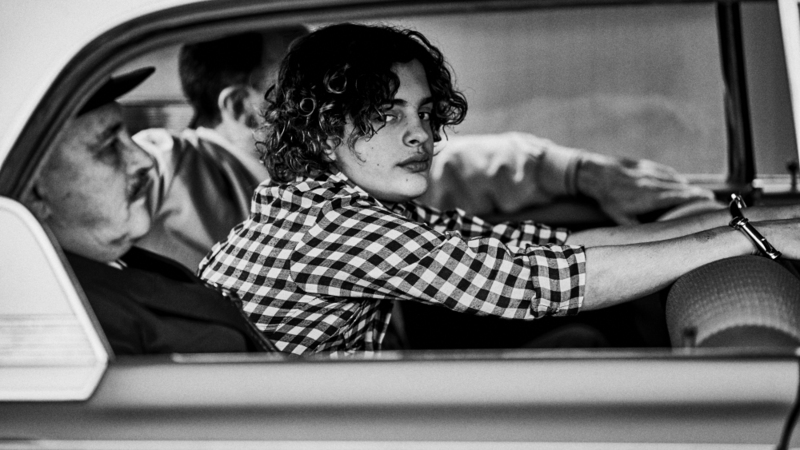 In “El Angel,” Luis Ortega’s “sensorial, personal poetry, which the film needs, mixes with an accessible story of large audience potential,” added K & S’s Matías Mosteirin.